Rinse chicken breasts under cold water, pat dry with a paper towel & place in a baking dish. Drizzle olive oil over all 5 chicken breasts, and lightly rub to evenly distribute the oil. Sprinkle salt and pepper over chicken. Press fresh garlic and rosemary into chicken breasts. Roast at 400°F for about 20-25 minutes or until the meat yields an internal temperature of 170°F. 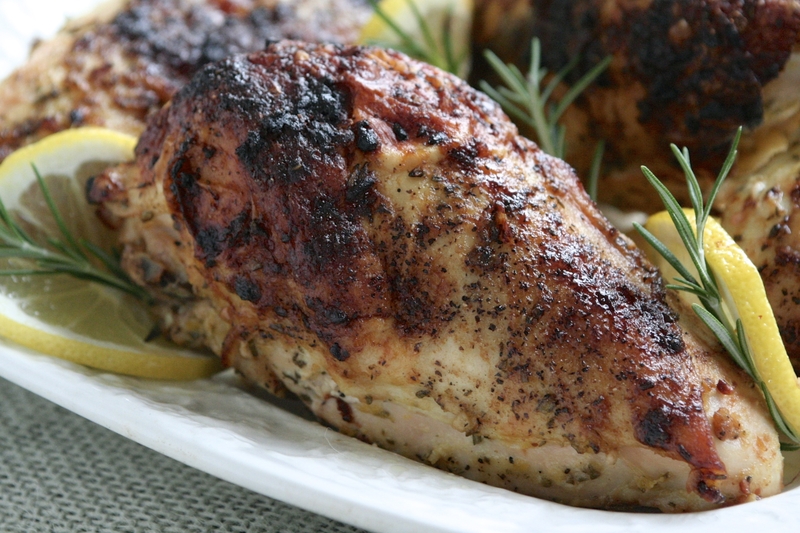 Remove chicken from oven and pour 1/2 cup balsamic vinegar over fully cooked chicken breasts. Serve with a fresh sprig of rosemary.